Motta's Pastry and Bake Shop pastries take you on a flight to Italy and back. All of our hand crafted pastries are a reflection of generations of the finest recipes in the Motta family. The pastries are also perfect for any occasion, weather it be an after dinner treat or catering a large wedding. Motta's pastries come in full and mini sizes and are made fresh everyday. 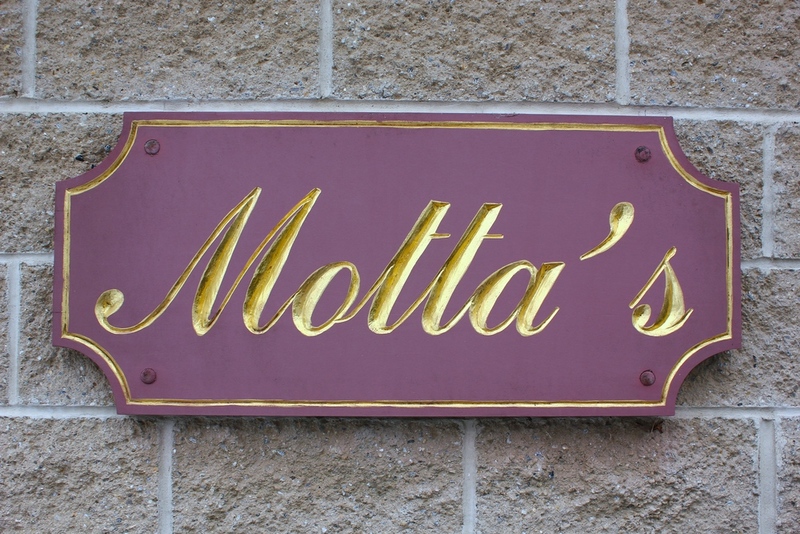 Motta's is one of the few bakeries left in the world that still makes their own Cannoli shells. Our "Taste of Sicily" Cannoli is filled with our Chocolate or Vanilla custards or our amazing dessert ricotta. You will appreciate the craft and the passion when you sink your teeth into a fresh filled Motta's Cannoli! When you close your eyes and indulge in one of our Napoleon or Rum Slices, the explosion of flavor will have you at the base of Mount Vesuvius! These elegant slices are a fresh baked sponge and puff pastry layered with vanilla and chocolate custard and topped with our homemade buttercream frosting. Now we would like to tell you a little about our Sfogliatelle (pictured above right). Sfogliatelli in italian means "tiny layers". This crispy pastry is filled with a soft mandarin ricotta filling. It is super crunchy on the outside and soft and yummy on the inside. Try a cup of our esspresso which is a perfect compliment to this treat. Often talked about all over Connecticut, our Chocolate Eclairs are a taste of heaven filled with light Bavarian cream and topped with rich chocolate fudge. Our shells and cream are hand crafted and are utterly amazing! The pièce de résistance of pastry is of course, Motta's Almondine (pictured just above), a creamy delicious almond Cheesecake with an Italian cookie crust and topped with toasted almonds. Let your taste buds fly when you savor our Angel Wings (pictured to the left). Motta's handcrafts this heavenly, delicious, crispy, crunchy pastry to perfection. It is paper-thin desert dough fried and topped with a dusting of powdered sugar. It is often called the potato chip of desserts! It is an all-time party favorite in the Northeast and beyond. Our Other pastries include, Pasticiotti, Chocolate fudge cake slices, Mocha cake slices, Cream puffs, Cream horns, Tiramisu, Tres Leches, Fruit Squares, Danish and so much more! Motta's pastries are the perfect end to any meal. You can taste authenticity in every bite of our delicious selection. Taste the Difference!